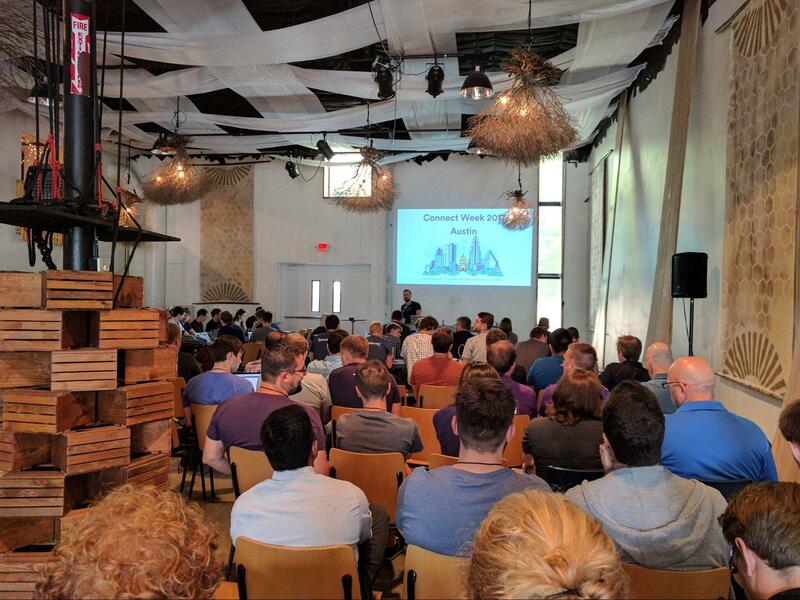 About a month ago, I attended my first Atlassian Connect Week in Austin, Texas. If you haven’t heard about Connect Week before, you’re not alone. It’s a relatively new event series that Atlassian started in 2016. 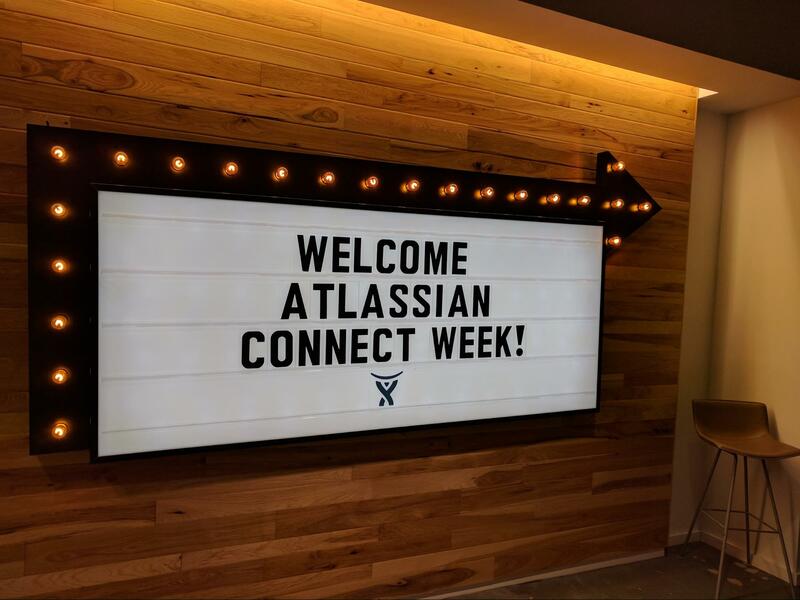 These events are targeted at Atlassian Marketplace developers: if you have an app idea, Atlassian Connect Week is a great opportunity to work on it directly with Atlassian developers, designers, product managers, and marketers, all in a fun hackathon-like setting. You will get lots of direction on using product APIs, as well as designing, testing, and marketing your app. The last day of the week is Demo Day, where attendees show off their results. Note that this is an invitation-only event, so you need to apply and get accepted to get in. Watch out for future Connect Week announcements on the Atlassian Developer Community. So what did I work on during Connect Week? Last year, during at an internal company-wide hackathon at Lucid, a couple of co-workers and I built an experimental project that automatically generates class diagrams from source code. The idea was to take the hassle out of manually creating and maintaining such diagrams as code rapidly changes, so teams could still visually communicate the architecture of software projects. The proof-of-concept received positive feedback, but we never got it to a shippable state because other projects got in the way. Connect Week seemed like a perfect opportunity to deliver the idea that we had dreamed up. 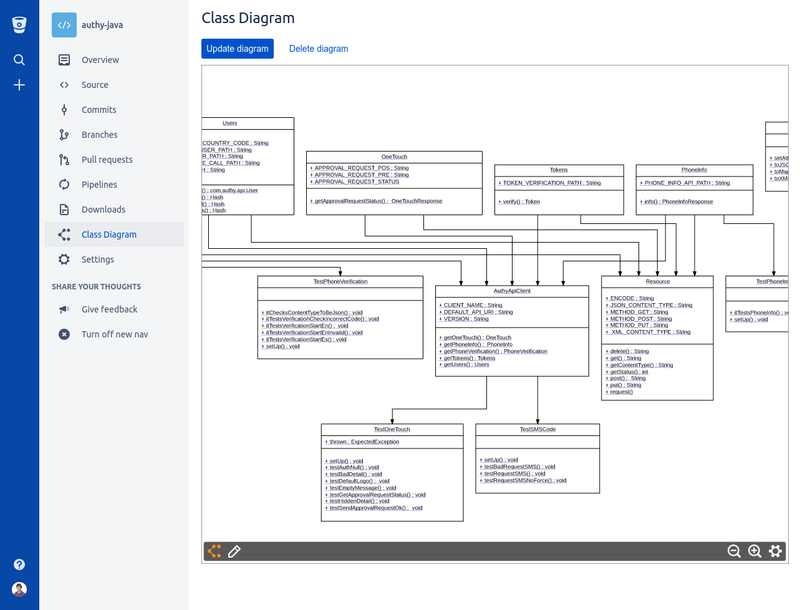 The result: we created and shipped UML Class Diagrams for Bitbucket Cloud! We wouldn’t have released this add-on in such a short timeframe without live help from the Bitbucket team during the Connect Week. The first day had a conference element to it. After a quick morning check-in, all teams introduced themselves and shared what they were going to work on. 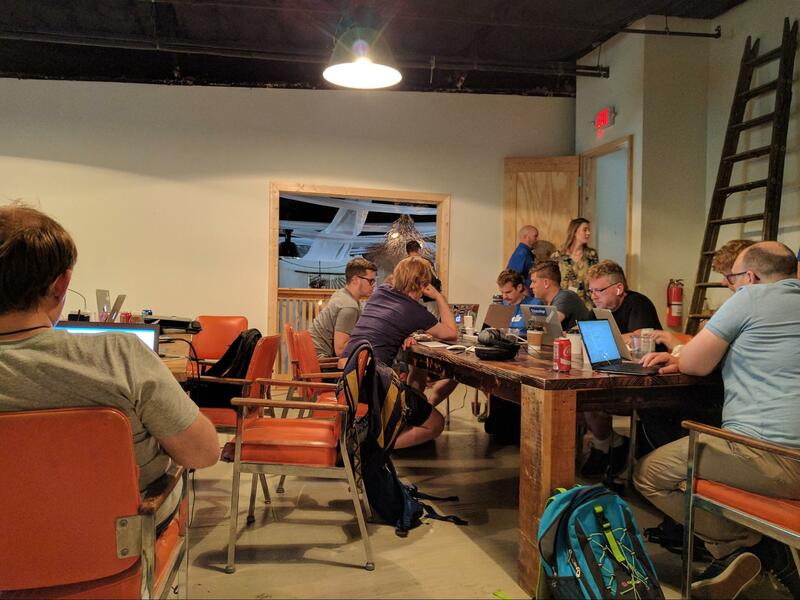 There were a total of 94 developers representing 42 companies! Following the welcome session were several tech talks on Atlassian Connect Framework and product-specific APIs. 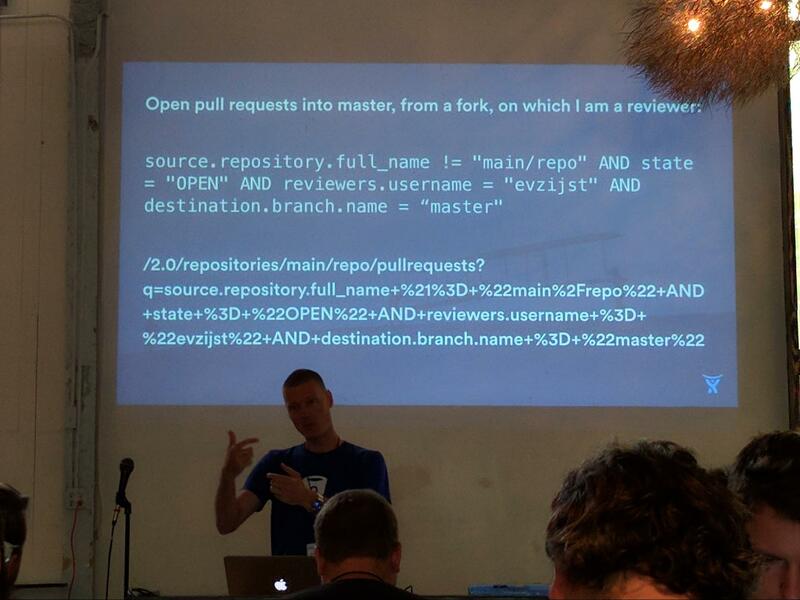 Erik van Zijst, a Bitbucket Cloud developer, gave a great presentation on advanced Bitbucket add-on capabilities. From that talk, I learned about Bitbucket Query Language (BBQ) and API Proxies, a new paradigm Atlassian is pioneering in Connect for Bitbucket Cloud. After a delicious lunch, it was hacking time. The co-working space came to life as teams spread across all of its corners. 33 Atlassians from various departments were around, ready to sit down with teams to help them get started and answer any questions. Some even flew all the way from the Sydney office! Their mission was to enable progress and remove any roadblocks. 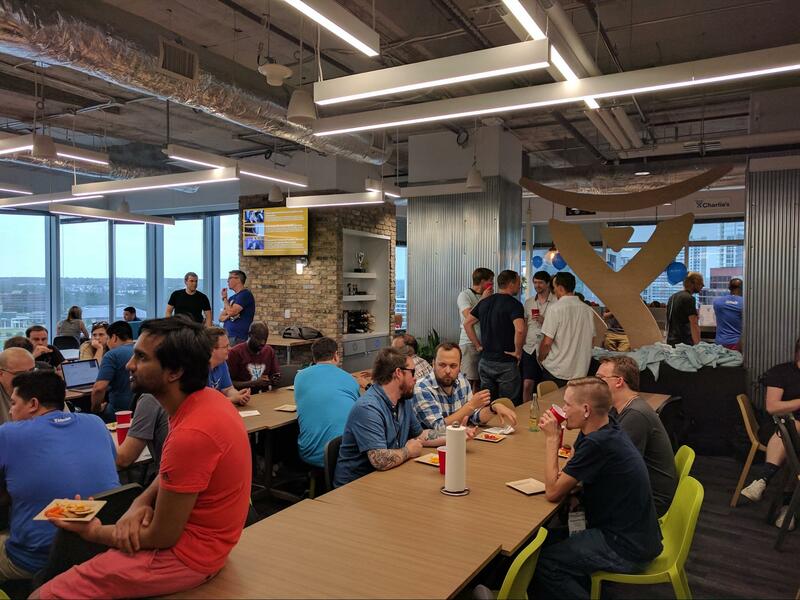 In the evening, Atlassian hosted a happy hour at their office where attendees could continue chatting with the staff in a more informal environment. I had the pleasure to meet Kelly Snow, a designer at Atlassian who worked on major projects like the Marketplace redesign and the new Developer Community experience. We both meditated on the complexities of running an ecosystem, making data-driven decisions, and making apps discoverable in enterprise settings. Every day afterward began with a quick stand-up meeting where teams shared their progress and any blockers. These meetings added a nice social element to the event and also ensured that the Atlassian staff helped out whoever was stuck. I had a kickoff meeting set up with the entire Bitbucket Cloud development team: Erik van Zijst, Christopher Somme, Eric Henry, and Sean Conaty. We discussed my team’s plans for the week, and I received some useful guidance. For instance, the team helped me take advantage of the new API Proxy module in Connect Framework, which didn’t have documentation at the time. I can say without exaggerating that it saved me at least a day of development work, which is quite significant when you’re trying to make an add-on from scratch in just one week! Since the API Proxy module is brand new, I ran into some edge case bugs. But that hardly slowed me down because Erik and Chris, who were right there in the same room, quickly offered workaround solutions so that I could continue making rapid progress. This kind of collaboration is only possible when both Marketplace vendors and Atlassians take the time away from their busy schedules and dedicate their undivided attention to working on something awesome together. In the first couple of days, I was able to implement the main user interaction flows for the app, while Gregg, my teammate who worked remotely from the office, pieced together some backend logic. Atlassian offered user testing sessions throughout the week, and I signed up for one. Although pieces of the project were still not being fully functional, I was able to walk my tester through the features of the app and receive very helpful feedback on some areas I forgot to consider. You never regret getting early feedback, even if you have to mock out some functionality. A huge part of attending Atlassian events for me is the one-on-one time I can get with Atlassian staff—developers, designers, product and ecosystem managers—to get a hint of what to expect in near future and also provide feedback and ask some long-standing questions. I was glad to find out that Atlassian Connect Week was no exception to this tradition. 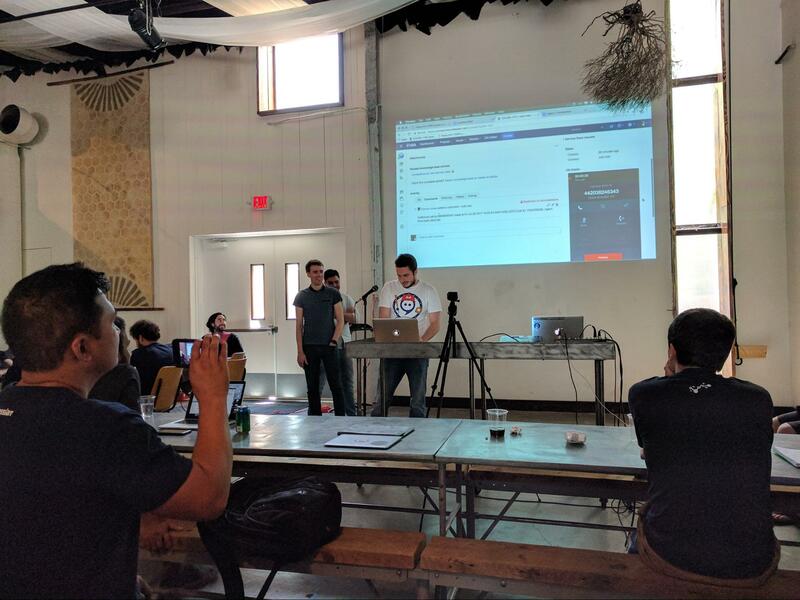 Atlassians use every opportunity to listen to their users, marketplace vendors, and partners. I met with Lucy Denton and Tony Becker to talk about my experience using developer documentation for Atlassian products. They were very attentive and asked good follow-up questions about usage scenarios. I also met with Bruce Carney who shared a roadmap of Atlassian’s API platform and how it will affect add-on developers in near future. The morning of the demo day was pretty hectic. You could see people all over the place hunched over their laptops and typing intensely in an attempt to finish their projects on time. Teams presented a total of 31 projects. It was very exciting to see other people’s working projects. Many demos were early proof-of-concepts, but a handful of people were planning on shipping their apps in the next couple of weeks. Some had even submitted them to the Marketplace and were waiting for approvals. I also enjoyed the diversity among companies, from startups to well-established companies. There were representatives from famous industry solutions like Jenkins, Splunk, Droplr, Zapier, New Relic, Hacker One, and Typeform working on new integrations with Atlassian’s products. Our demo was received with much enthusiasm, and we were able to ship the app the following week! I got a ton of value out of Atlassian Connect Week. Not only did I build a brand-new app much faster than it would’ve otherwise taken me, but the event also served as a platform to quickly validate the whole idea and get early feedback on the project. All the new relationships I built and the opportunity to see Atlassian’s roadmap were just icing on the cake. Want to see the result of Connect Week for yourself? 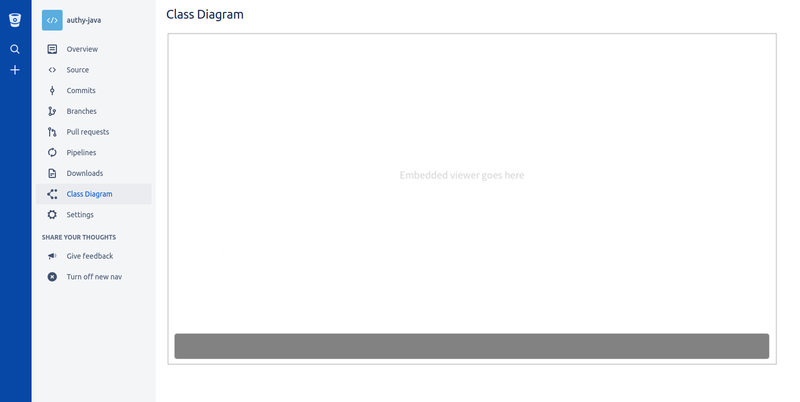 Check out UML Class Diagrams for Bitbucket—we’re excited to see your feedback. 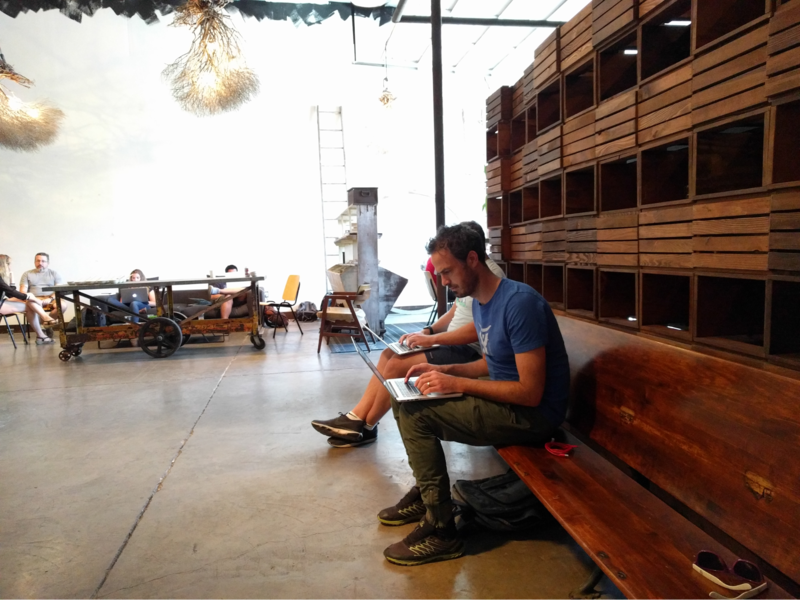 I’d like to add a special thanks to Luke Kilpatrick, Developer Program Manager at Atlassian, for organizing Connect Week. Go team!